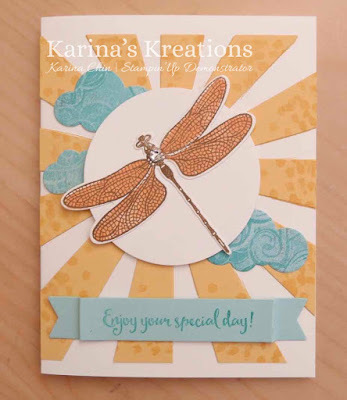 Karina's Kreations: Stampin'Up Dragonfly Dreams Sneak Peak! Stampin'Up Dragonfly Dreams Sneak Peak! 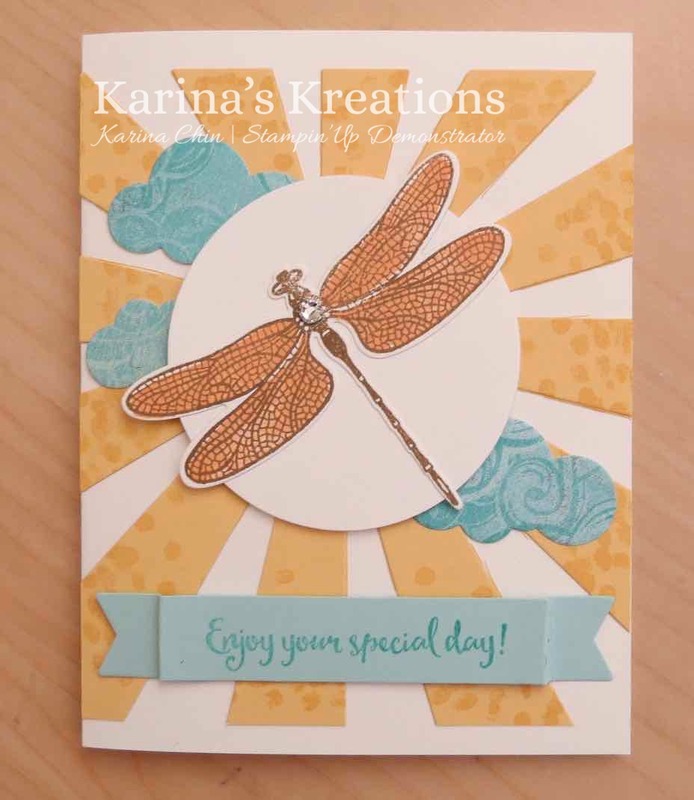 I had a little bit of time to play with the new Dragonfly Dreams stamp set and made this cute card. The Dragonfly Dreams stamp set will be available Jan 4 and I think it's going to be a top seller. The dragon images are so pretty and I love that there are coordinating Detailed Dragonfly Thinlits Dies. These two items can be bought as a bundle #144728 which saves you 10%. You'll also get a free sale-a-bration tiem when you purchase the bundle as well.